Affectionately known as the ‘Nature Island’, Dominica is a paradise for hikers and dream destination for divers. It is a place of incredible natural beauty and easygoing Caribbean charm. Dominica is home to a sensational bounty of natural attractions and a population of more than 70,000 people. Popular attractions include Trafalgar Falls, Boiling Lake, and Titou Gorge. Get ready to experience the magic of raw nature with cheap flights to Dominica. The hub airport is Douglas–Charles Airport (DOM), which is a scenic 1-hour drive from the capital city, Roseau. Known as Champagne Reef because of the geothermal bubbles streaming through the rocks, this is a truly unique underwater experience and the most famous dive and snorkel spot on Dominica. Morne Trois Pitons National Park is the jewel of Dominica. Wander between giant ferns and wild orchids in search of boiling lakes, mysterious gorges, enchanted spring pools, and mesmerising waterfalls. 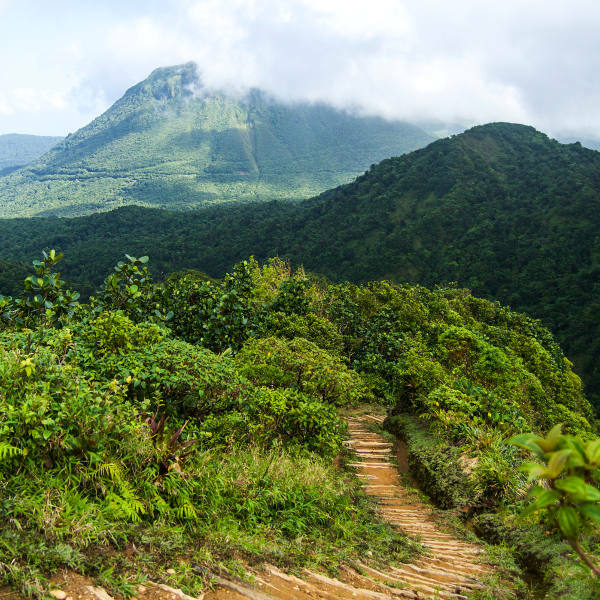 Stretching for about 180 kilometres, the Waitukubuli Trail is the longest hiking trail in the Caribbean. Hike through steamy tropical rainforest and camp under the stars on this dream route. Dominica experiences a humid tropical climate almost year-round. The rainy season lasts from July to October and the dry season from January to May. The hurricane season runs from June to November. The best time to visit Dominica is during the dry season when the hiking trails are lush and inviting and the island bustles with activity. This is a great time to explore the natural landscapes and enjoy al fresco dinners and fruity cocktails beneath the tangerine tinge of Caribbean sunsets. Notable events include: Carnival (February or March), World Creole Music Festival and Independence Celebrations (late-October / early-November), Dominica Festival of Arts (April to June), Dive Fest (July), and the Nature Island Literary Festival (August). For cheap flights to Dominica, the best time to visit is during the rainy season or shoulder season from October to December. With about two-thirds of the island covered in lush tropical rainforests and the surrounding ocean blooming with colourful creatures and coral reefs, it is not hard to see why it has earned the title “Nature Island of the Caribbean”. Dominica is a place where nature reigns. Even tour operators can’t help but be captivated by the natural beauty of this Caribbean paradise – they refer to rain as ‘liquid sunshine’. 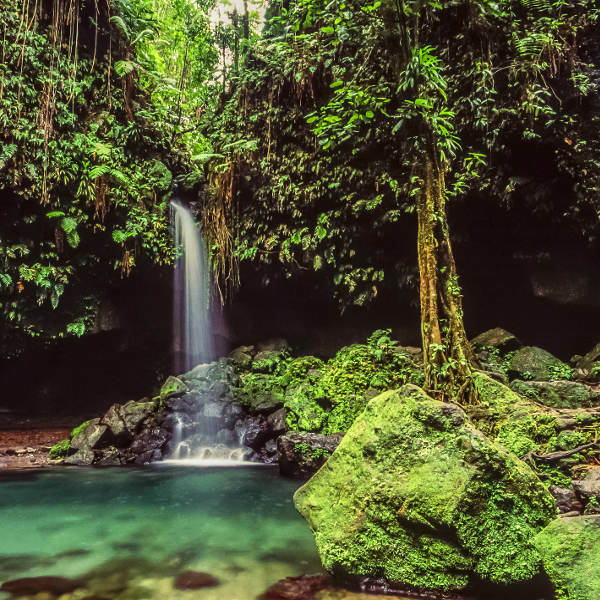 If your idea of an idyllic holiday is hiking beneath the emerald canopy of tropical jungles in search of shimmering spring pools and swimming beside graceful rays and seahorses, then Dominica is the place for you. It is also considered one of the ’10 Best Caribbean Destinations for Adventure’. 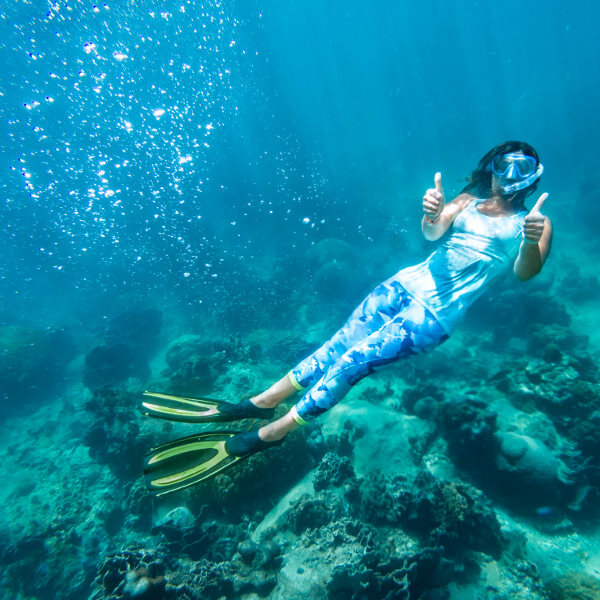 Some of the exciting things you can do on Dominica include sailing, surfing, tubing, snorkelling, scuba diving, kayaking, paddle boarding, freediving, horse riding, deep sea fishing, and canyoning. Compare several airlines and book your cheap flights to Dominica online at Travelstart! Although visits to Dominica are generally trouble free, you should still take the same precautions you would anywhere else in the world and familiarise yourself with the local laws and customs. Travel insurance to cover theft and medical expenses is recommended. Remain vigilant of your surroundings, avoid venturing into isolated areas alone (especially at night), and avoid carrying large sums of cash and flashy displays of wealth. Roadside assistance is not widely available and the roads can be hazardous so you should take care when driving. A yellow fever vaccination certificate is required if you are travelling from an infected country. Mosquito-borne diseases are a risk so precautions should be taken to avoid bites. Recommended and routine vaccinations include: hepatitis A & B, typhoid, rabies, MMR, diphtheria-tetanus-pertussis, meningitis, varicella, and polio.